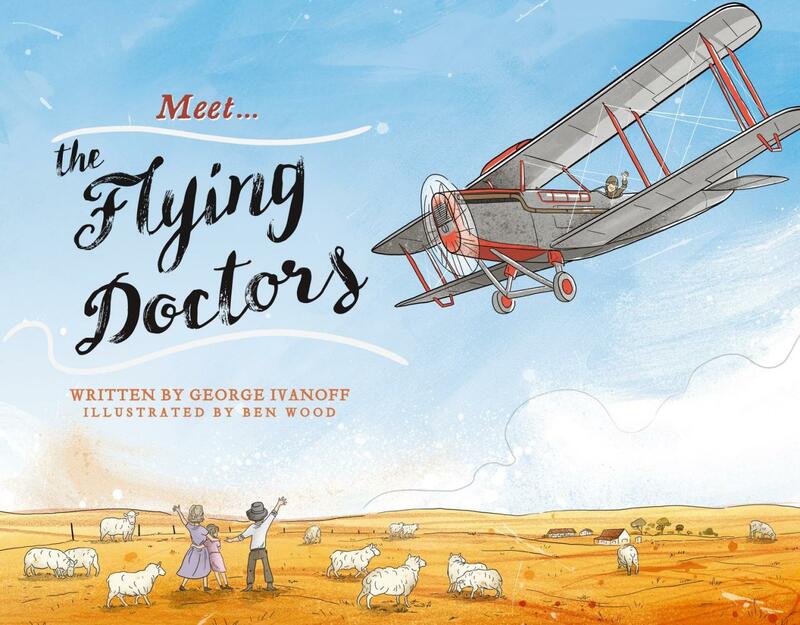 For children who might not know, the Royal Flying Doctor provides emergency and primary health care across Australia. 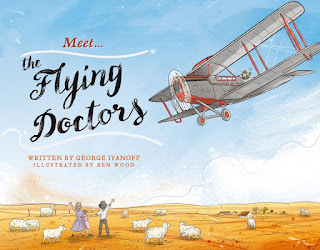 This landscape picture book for readers aged 7 to 10 years tells the story of how the life-saving service was created to become an Australian icon. It begins with the man on the $20 bank note – Reverend John Flynn whose story, starting in 1911 is told from the point of view of a young boy whose life he saved. A stockman fell from his horse while mustering cattle in the Kimberly region of Western Australia: badly injured, he endured a 12 hour trip to Halls Creek where the postmaster knew some first aid. A telegraph to Perth for medical assistance resulted in the postman being told to perform an operation – his only equipment being a razor and a penknife. The operation was not a success, so a doctor took a thirteen day trip to Halls Creek: by then the stockman was dead. Reading this newspaper story, Flynn contacted a World War 1 pilot; between them they worked out how to use planes to reach the outback to help injured and sick patients. The AMS – or Australian Inland Mission Aerial Medical Services – which was subsequently formed, used a single-engine biplane leased from QANTAS, to run 50 flights and treat 255 patients in its first year. Because of the lack of a radio, flights needed to be made in daylight hours. Happily, over the years new technology helped outback people contact the service. The aerial service was so successful it expanded to other states in 1934, and of course its name was changed. As well as Flynn, the book also pays tribute to women nurses who worked with the service – Marie Osborn, and Myra Blanch. These days the Royal Doctor Flying Service has a fleet of 66 planes, operating from 23 bases across Australia. All of this information is told throughout the book, and there is a detailed double-page spread at the back of the book with a timeline about the service up until and including 2014 when the RFDS remarkably assisted more than 290,000 people through emergency visits. Watercolour illustrations with cartoon-style characters and pictures of biplanes, a map of Australia, from-the-air landscapes and more complement the text. This is yet another Random House ‘Meet the…’ book which includes stories about famous Australians such as Weary Dunlop, Mary MacKillop, Nellie Melba and others.